You will love this beautiful brick home w/stone accent nestled in the cul-de-sac of Woodlawn Springs. 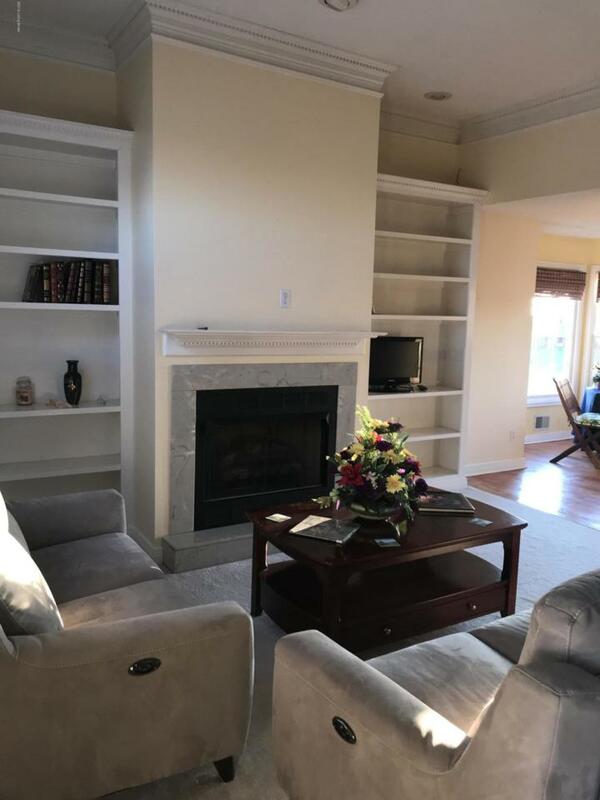 Cozy living rm features 10' ceiling w/fancy crown moulding, &gas FP w/built-in bookshelves. Kitchen offers hardwood flooring, dining area w/bay window, stainless appliances(stove, refr, DW, wave). Washer &dryer in bsmt remain. Master BD offers 2 closets, including master bath walk-in. Master BA w/jacuzzi tub. Choice of main level laundry or basement laundry rm, or enjoy main level closet instead. Full finished bsmt w/family/game rm, full bath, laundry, &extra rm could suffice for a bedroom, office, craft rm, etc. Entry to super nice sunroom off the basement granting lots of sunlight w/tons of windows. Upper level huge deck-entry from kitchen or master bedroom. Superb landscaping!This home is a garden's dream! Beautiful working fountain in front of home. On demand water heater! Refr in garage is negotiable. Dehumidifier in basement bath remains. HOA $300/yr and allows use of pool, tennis court & playground.